Citroen has announced a new variant of the DS3 Cabrio, designed in conjunction with cosmetics brand Benefit. It’s finished in pearl white and features exterior and interior details inspired by Benefit products. 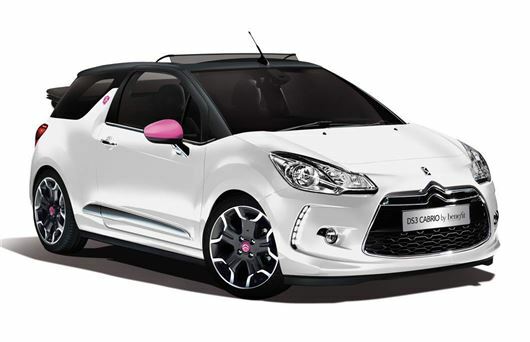 The DS3 Cabrio DStyle by Benefit is available now, priced at £18,745. It is powered by a 120PS 1.6-litre VTI petrol engine and comes with 17-inch black alloy wheels, digital air conditioning, automatic headlights, automatic wipers, Bluetooth and USB-connectivity. Additionally, buyers will receive a Benefit bag containing assorted cosmetic products.